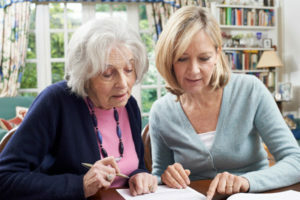 A Power of Attorney is a document created to appoint an individual or organization to handle your financial and other affairs while you are incapacitated or unavailable to do so yourself. There are many types of Powers of Attorneys, and many websites that offer generic services and forms for you to fill out. However, none of these services will cater to your specific needs in a manner that an attorney can. In some cases, the website powers of attorney may not even be legal, thereby nullifying what you intended them to accomplish. All decisions, both general and healthcare, can be made to remain in effect if you happen to become incapacitated. You authorize your agent to act only in specific situations. This is more constricting than the general power of attorney. With this document, you designate an agent to make healthcare decisions for you in the event that you become incapacitated. This is different from a Living Will, which only allows you to express your wishes regarding medical care in an end of life situation. This allows you to cancel and revoke the power of attorney that you have created. A Power of Attorney must be signed by the person granting the authority, known as the principal. At the time of the signing of the Power of Attorney, the person must be mentally competent. Additionally, the document must be notarized so as to avoid challenges later on about choices the agent makes on behalf of the principal. For an effective estate plan, having a properly designed and implemented Power of Attorney is every bit as important as having a Will. The Internet may display cheap and enticing offers, together with easy to fill out forms, for creating such documents. However, they often fail to do what they are intended and may not carry out your wishes in the manner that you intended them to. This is why it is best to make an appointment and consult with an attorney who focuses on estate planning.